Back in the 17th Century, a French philosopher named Blaise Pascal made probably one of the biggest bets in the history of humankind: that God exists. During his time, there was a brewing trend about doubting the existence of God as Renaissance and Enlightenment ideas are spreading throughout Europe. What are the odds of Pascal’s bet? He argued that it is best to believe in a God rather than not to believe as the person will only have a finite loss such as some few pleasures and luxuries restricted by religion by doing so. The belief will also guarantee infinite gains like eternity in Heaven if turned out to be true, whereas a non-belief will assure eternal damnation. In the same way, if the person who believes in God dies and finds out that no such thing exists, he loses nothing. The safest bet is the best. Pascal’s idea tells that the bettor must chose the safest bet with the least damage and cost, because a bet is nothing if the cost is as much as the loss. Reduce as much loss as possible. 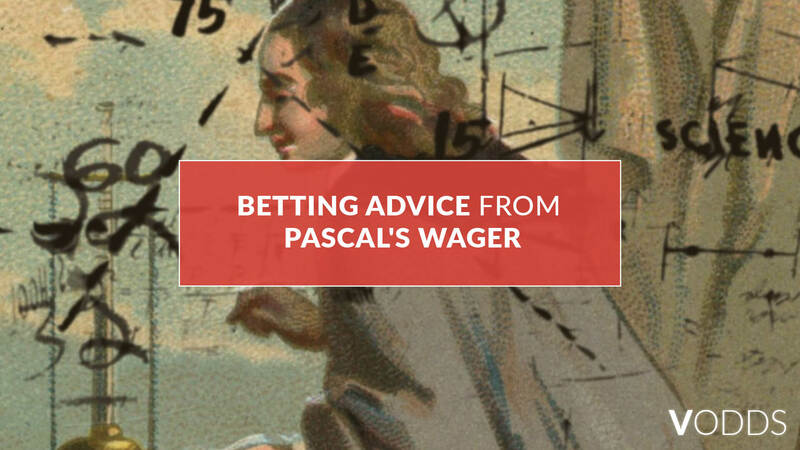 As one could see, Pascal attempted to reduce losses for the wager in order to make the bet worth the place. Calculate losses and gains before betting. In the Argument, Pascal also weigh in the cost of losses and wins. For instance, he argued that the loss is finite so the bet must be worth the while. Henceforth, he also said that the stake will pay off as an infinite gain such as eternity in a heavenly paradise awaits for those who finds out that God really exists. Make the bet profitable. With only a few things to be sacrificed such as some sexual and moral freedom deemed taboo in the eyes of God and a heavenly and paradisiacal pay off, Pascal guarantees the believer that the Wager is profitable. This is what should also be in betting: The good bet makes less cost and more profit. Visit VOdds to see odds and prices from various Asian sportsbooks and place stakes based on Pascal’s Wager.